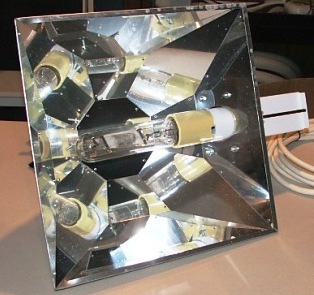 Metal-halide or HQI lamps were the first to be successfully used for reef lighting. The use of metal-halide allowed the first aquarists to breed all coral species, from softs till acropora. 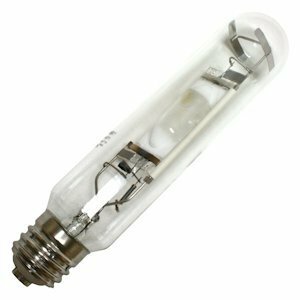 HQI lamps (Hydrargyrum quartz iodide) are classified as high-intensity discharge lamps (HID), their operation is quite simple: an high pressure gas, confined into the bulb, is subjected to an intense electric discharge that causes ionization, with consequent photon emission. About this I want to point out that together with visible light, bulb emits huge quantities of UV, harmful to any living being (included humans). For this reason lamps till 250 watt must be covered with UV-shielded glass, instead lamps form 400 watt up and 250 watt with e40 thread don’t need glass, since are self-shielded. HQI lamps needs a dedicated ballast, first models were called ferromagnetic, composted by a reactor, lighter and cap. 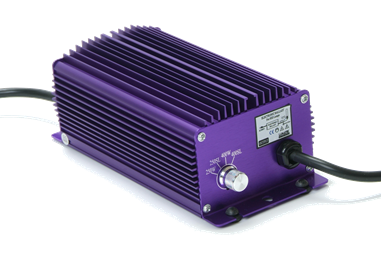 Today we have fully electronic ballasts with highly superior performances, fast lighting without flicker, lower consumption, higher yield and emission stability. In the last years, with the fast rise of power LEDs, HQIs suffered a standstill, in particular on small/medium tanks. Different situation for bigger tanks, from 500 liter up, for which HQI are still a good choice, considering the enormous cost of a LED fixture with the same performance. Although this decline, metal-halides are still a good lighting system, cheap and ensures reliable results. Recently cheaper lamps have been placed on market, those have very good quality and construction with prices up to 70% lower than brand models. 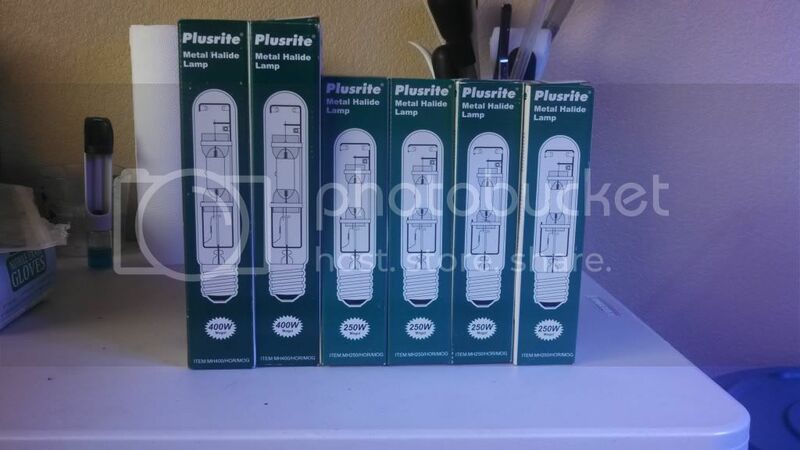 Plusrite are a good example: available in 70, 150, 250 and 400 watt, with color temperatures of 10000, 14000 o 20000 kelvin. 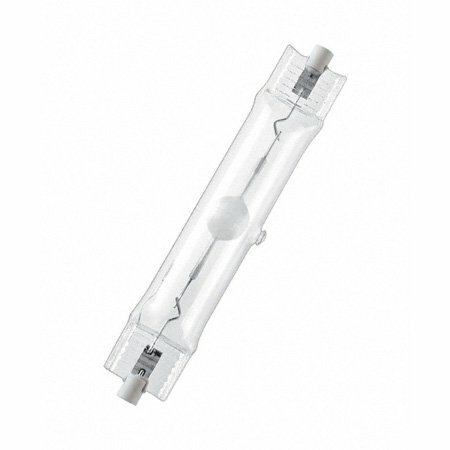 Nowadays the best HQI fixture is the Lumenarc reflector which ensures a perfect distribution and stratification of light. Personally i suggest to associate this reflector to a equally excellent ballast: Lumatek. 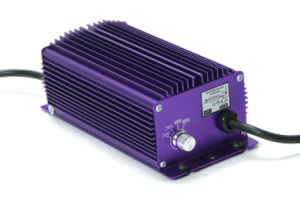 Those nice violet ballasts meet the highest constructive standard and has a super-lumen function for rising the light emission of bulb by 10%, obviously at the expense of bulb lifespan. No Comments on "HQI lamps"